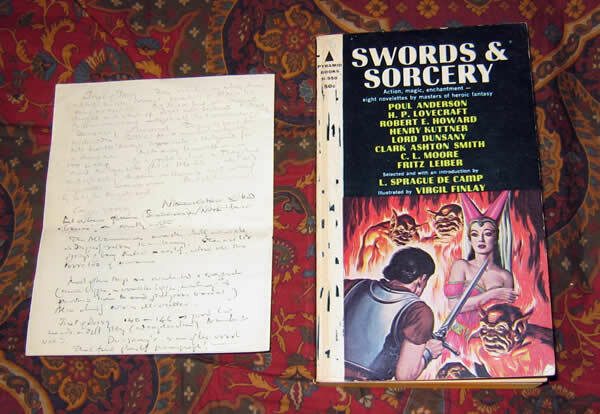 A Signed Book, Swords & Sorcery, By L. Sprague De Camp, and a Seperate Critique Written By J.R.R. 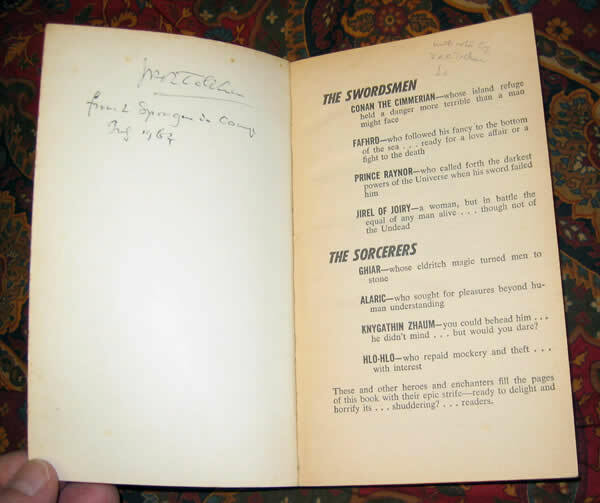 Tolkien -$3000.00 A pair of items is offered, which includes a handwritten lengthy criticism by Tolkien, and a related paperback novel, Swords & Sorcery, by L. Sprague de Camp, signed by Tolkien. 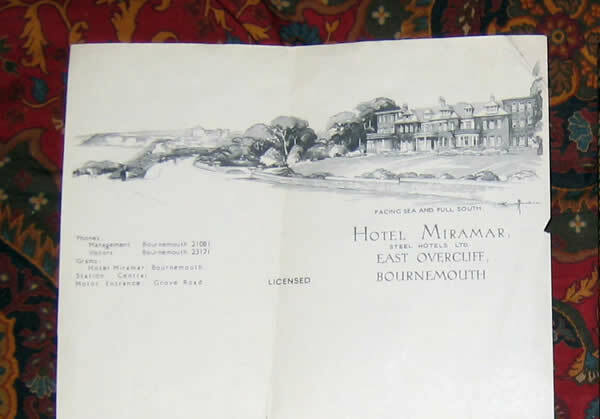 The more significant item, is a sheet of stationary from the Hotel Miramar, East Overcliff, Bournemouth. On the verso, Tolkien has written in pencil, and overwritten the latter part in ink, a lengthy criticism of a story by Lord Dunsany, originally published in 1912 and entitled: "Distressing Tale of Thangobrind the Jeweler", which is included in the book. A not very complementary critique, but a wonderful example of his cryptic handwriting. A fantastic pair of items, written or signed by the author of The Hobbit and The Lord of the Rings.